Given my past scholarly endeavors, it generally comes as no surprise to me that cultural appropriation is a diffuse phenomenon. But it's still not usually part of a discussion about Miss Universe pageant gowns. At the moment, however, Boliva and Peru are locked in a cross-border battle over the elaborate outfit worn by Miss Peru, Karen Schwartz (below), in the pageant's national costume competition. According to the Wall Street Journal, Boliva claims that the Carnival ritual which inspired the costume, La Diablada or the Devil's Dance, originated in the Bolivian city of Oruro and that Peru is guilty of theft. Peru vehemently disagrees. From a property rights perspective, the Andean argument is about more than competition for a rhinestone tiara. Over the past half-century or so, the right to recognition of one's culture has become an increasingly important issue. At the same time, a dramatic expansion in the economic importance of intellectual property rights has led many countries that have historically been net importers of IP to seek greater protection for a related type of intangible creation in which they are comparatively wealthy, namely cultural products or traditional cultural expressions. The confluence of these trends resulted in the 2003 UNESCO Convention for the Safeguarding of the Intangible Cultural Heritage. Even prior to 2003, UNESCO maintained a representative global list of elements of cultural heritage in need of protection, including the Bolivian Carnival of Oruro. Thus Bolivia's claim that the Peruvian pageant gown constitutes "theft" and is a threat to cultural heritage -- and the tourist money that it generates -- is of more than rhetorical significance. Peru's denial of Bolivia's charge, along with Miss Peru's observation that the neighboring countries share almost the same culture and customs, illustrates one of the difficulties of protecting and commodifying collective cultural creativity. It's relatively easy -- conceptually at least -- to bar outsiders from half a world away from engaging in cultural appropriation. It's quite a bit more difficult to mediate disputes between cultural cousins over the ownership of a particular song or story. Miss Peru's costume designer, Richard Davila, may or may not have been inspired by clothing from the Peruvian city of Puno rather than Bolivia's Oruro, or a Chilean town with similar traditions for that matter, but it's almost impossible to say for sure. The silver lining in this cultural property skirmish, as with every dispute from the tragic destruction of the Bamiyan Buddhas to the British Museum's refusal to return the Parthenon/Elgin marbles to Greece, is that it draws public attention to the heritage in question. On the other hand, this particular international incident is unlikely to result in that most cherished wish of beauty pageant participants everywhere: world peace. With Valentino's longtime accessories duo Maria Grazia Chiuri and Pier Paulo Piccioli heading up the fashion house, it's no surprise that handbag designs are blossoming -- or that copyists are reaching in to pluck the best of the bunch. 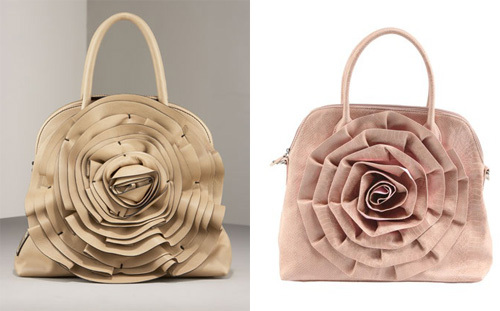 Just take a look at the Valentino Petale sachel (left), with some colors so new that they're only available for pre-order, and the version from Big Buddha (right). It's trade show winds that are apparently shaking down Valentino's darling buds, as Big Buddha's pink polyurethane posy was recently featured the in the WWDMAGIC preview publication. So, in knockoff handbag terms, what's the karmic equivalent of Japanese beetles? Lifetime just doesn't seem to have the street cred to carry this thing off. No matter what they do, their Runway will always be a knock off purse compared to Bravo's Louis Vuitton. It may look the same, smell the same, and even have the same logo, but we all know it came from Canal Street and there is nothing you can do to sell it as the real thing. An amusing analogy, given that virtually every early report on Bravo's replacement effort, The Fashion Show, called that one the knockoff. J. C. Penney has always trafficked in knockoffs that aren't quite up to Canal Street's illegal standards. It was never "get the look for less" so much as "get something vaguely shaped like the designer thing you want, but cut much more conservatively, made in all-petroleum materials, and with a too-similar wannabe logo that announces your inferiority to evil classmates as surely as if you were cursed to be followed around by a tuba section." As Thailand's $18 billion textile and garment industry evolves, it's being pulled in two directions. Government officials are keen for Thailand to shed its cheap, copycat-producing reputation and offer higher-quality goods. Yet buyers, especially in the current climate, are hunting for bargains to protect their margins. If the buyer from Missoula, Montana, were willing and able to pay for an original design rather than seeking a $6 dress, perhaps there wouldn't be so many knockoffs out there. In other words, it's all about the demand side. Or is it? Down Under designer Collette Dinnigan sent sparks flying from the front row of a fashion show in Sydney, where she found looks from Helen O'Connor's Thurley label suspiciously similar to her own. O'Connor denied the charges of copying, but admitted that Dinnigan "inspires" her and has been her "hero" for a decade. Whether any of these allegations and analogies are true or not, it seems that one label nobody loves is "knockoff." 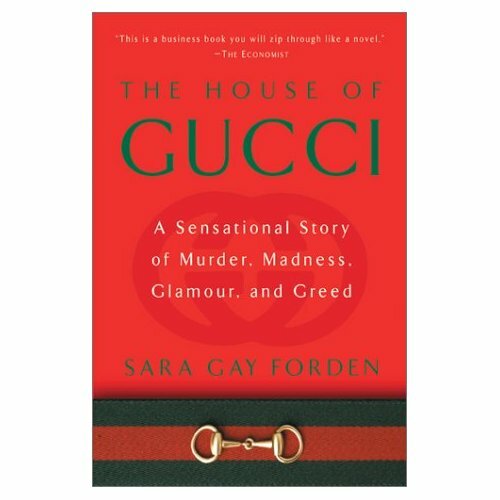 Luxury, lust, murder, and Italian leather -- given the Gucci family history, it's no wonder there's a blood-red stripe running down the middle of the familiar green-red-green ribbon logo. But while blood may be thicker than water, trademark law is another matter, and the latest scions of the Gucci family to challenge the exclusive corporate ownership of their famous name have once again been unsuccessful. Jennifer Puddefoot Gucci, ex-wife of the late Paolo Gucci, and her daughter Gemma Gucci comprise the Anglo-American branch of the family. Neither is a designer. In hopes of trading on their famous name, however, they entered into a series of licensing agreements with the help of their agent Edward Litwak, who worked to brand everything from coffee and gelato to linens and handbags with variations on their names and initials, with a few green-red-green stripes and a horsebit or two thrown in for good measure. Never mind that the U.S. Trademark Office had already rejected the women's attempts to register some of these variations. Predictably the Gucci company, which is owned by French luxury conglomerate PPR, objected. In one way, this puts Mrs. and Ms. Gucci in a worse position than most individuals, as the average person can use her name on goods and services and then worry about developing a reputation later. On the other hand, if you're born a McDonald, it's highly unlikely that you'll be able to use your name to sell hamburgers. The U.S. Trademark Office does not register marks that are "primarily merely a surname," but there's still plenty of room for family feuds -- or just plain tough luck in the birth certificate department. Still, it's hard to feel sorry for either Jennifer or Gemma in this case, given that they apparently had little involvement with many of the goods that attempted to trade on their famous surname, but were well aware that the logos and designs called to mind the luxury goods company. In addition, they admitted in court that products labeled Puddefoot or Mairs (Gemma's husband's last name) would generate little interest. So, what's next for the freeriding Gucci gals? Well, Gemma did have a bit more luck with a German court and the use of her name on a European jewelry line. Barring an appeal in the U.S., however, it's a retreat to their own professional fields (originally music for Jenny and finance for Gemma), an effort to take a few leatherworking classes, or perhaps an attempt to succeed without reliance on a famous name. Hey, it worked for Nicholas Cage. Interested in reading more of the multigenerational Gucci saga? 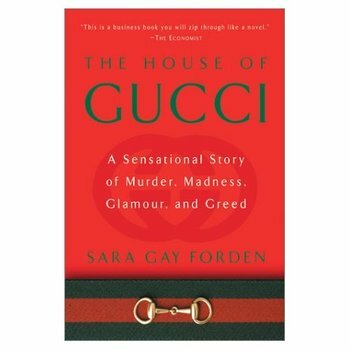 Check out Sara Gay Forden's The House of Gucci (2000).